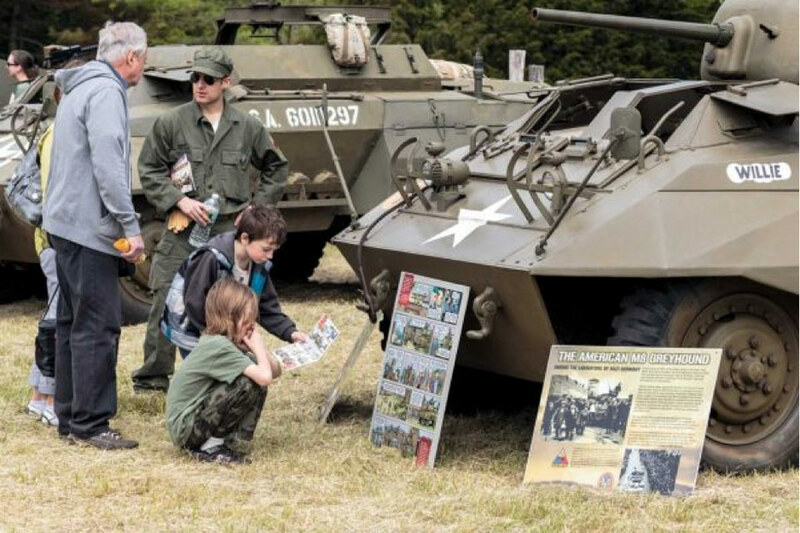 Photo credit: Museum of American Armor | Visitors look at some of the historical tanks at the Museum of American Armor in Old Bethpage Restoration. Construction is scheduled to begin Monday on the Museum of American Armor on the grounds of Old Bethpage Village Restoration. The $2.5 million project has received another boost with a $250,000 state grant announced Friday by Assemb. Charles Lavine (D-Glen Cove). That leaves only $250,000 needed to complete the project, but state Sen. Charles Fuschillo Jr. (R-Merrick) says he expects to obtain a $350,0000 state grant for road and infrastructure improvements to accommodate cars and tour buses. With bulldozers set to start clearing the land Monday, the museum already has a $1 million gift from founder and military collector Lawrence Kadish of Old Westbury. In August, the Empire State Development Corp. approved a $1 million grant. The 25,000-square-foot museum — to be erected near the Old Bethpage Village parking lot and away from the 19th century buildings — will house a total of 27 operational military vehicles, including a Sherman tank, a Stuart light tank, a 155-mm howitzer, half-track trucks, a LaSalle staff car, jeeps, weapons carriers and reconnaissance vehicles.